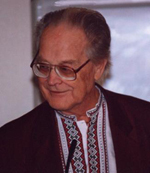 In the 1950s, Russian scientist Dr. Konstantin Buteyko identified over 150 disorders which could be resolved by normalising the breathing, and spent the next three decades developing breathiing exercises and strategies to achieve this. The Buteyko Breathing Centre is the oldest established Buteyko practice in the UK. Experienced, professionally indemnified, first aid qualified and Disclosure & Barring Service-checked. Let us teach you, safely and effectively, to normalise your breathing, increase your oxygen levels, and improve your health. CLICK FOR OUR LATEST COURSE DATES & INFO. Click one of the dates to book your place or call +44 (0)1789 298290 before 9pm for more information. Click here for more information on our courses and workshops.